- Could you please begin with an introduction of Sangre Cavallum, its origins and its members? Sangre Cavallum was founded in the Autumn of 1997. The personnel were myself, Corinna and R. Coutinho. Paulo Martins and Carlos Mendes also joined us for concerts and some recordings. Presently myself, Corinna, Jorge Ricardo and A. Rangel keep the flame with the collaboration of R. Coutinho and Gerhard of Allerseelen. - For non-Portuguese speakers, could you please explain what is the significance of 'Sangre Cavallum': what does it mean, especially for you, and why did you choose this name? It came in natural and definite way. Sangre means "blood" in the local dialect Mirandês (now recognized as our second national language and still spoken in the region of Miranda do Douro, northwest Portugal); Cavallum is the name of our local river. Basically the blood of our ancestors still flows within our people like the river flows through our land. There are further aspects of the name which are of personal significance to us. - Most people have certainly discovered your work with the recent Sangre Cavallum release but are unaware that you were already active with your own label Forgotten Blood ten years ago... What were the aims and purposes of this cassette label at the time? Forgotten Blood had its birth in 1993 after the conclusion of a series of radio shows that we had done since 1988, and which consisted of industrial and ritual music. At that time the format of the self-produced cassette was a strong motivation and it was a medium through which we could develop the musical ideas we had. We released the debut tapes of Zwickau, In Articulo Mortis, Wolfskin, Warriors of Nature, Sangre Cavallum and also the compilation 'Solis Rota' which featured all the projects connected with the label. We also published a book by Paulo Vilela. The only purpose was to give a form, albeit one that was limited and rare, to music and words about spiritual strife and paganism. - As I suppose there are not many people who had the opportunity to listen to your cassette album 'Alborada do Douro', could you say a few words about this very first Sangre Cavallum production? "Alborada do Douro - Cantares da Terra Castreja" was a response and a tribute to all we had found in the world of tradition. Music, narratives and sounds came to life in a balance between experimental and genuine traditional songs. It was recorded during wonderful sessions where the music was allowed enough room to manifest our growing emotions towards the roots of our people. A number of musical ideas came to light using acoustic instruments and amid organic organisation and discipline. - Have some of these songs been rearranged for inclusion on the 'Barbara Carmina' cd? Could this early material be reissued in the future or does it definitely belong to the past? We still play those early songs but 'Limia' was the only song that reappeared on 'Barbara Carmina'. It fit because of its theme: the mythical episode at the river Limia with the Roman legionary Décimo Júnio Bruto, an example of the finis terrae myths. Any of the past works belong to the past, even if reissued. "Bring me the past, I will carry it towards future." - Sangre Cavallum was formed eight years ago. Why did it take so long to release your first full-length album? Was there a specific reason to appear only for live performances and not to communicate the rest of the time? And what convinced you to release your musical, ethnological researches on record? Our aims include both musical research and honing our skills, so that together we can powerfully and enthusiastically play material that springs from our heritage in the form of our own songs. That can happen at home, in the fields, playing live or in recording sessions. Rare releases and rare concerts are just a part of the overall work. There are no special reasons why it took so long to release the first album. The decision concerning whether to release something is not a difficult one. It is better to release it, knowing that it will have an effect on some of those who hear it, than to keep it to ourselves. Another good thing is that it will serve as an archive for the future. The tributes that we strive to create would happen in the same way regardless if the concerts take place or not, or if there a lot of unreleased material. - You have described your music as "Old and new tribute songs to the land of our birth". Could you develop this concept a bit more? From time immemorial people have sung the praises of ancestry and land. Music preserves many old roots along with new seeds, so we sing! What may seem to many to be a return to the past is actually much more an advance, a step forward. Music is a living tradition, the essence of which carries over to a spiritual dimension. - Michael Moynihan mentioned that before Sangre Cavallum was formed, you were already conducting research into the traditional instruments of your local region and also undertaking field recordings. What was the aim of these researches and were you aware at the time that one day you would use this knowledge to make music? Traditional instruments have had a central role since the beginning. These objects are concrete 'history books', generating inspiration and new perceptions for the music we could create. Meeting the bearers of local traditions in the fields arouses many blood memories. Traditional musicians have a close relationship to the Gods and confirm the significant evidence that music serves a ritual purpose and bears witness to the supernatural. The inspired hours that come from this bring you closer to tradition, to a place where composing new songs or revitalising old traditional songs is nearly the same thing. A timeless art! A deep interest in tradition, and in the bearers of that wisdom, provided a basis for both our early and our current songs. Silent hours spent in the mountains, tunes heard blowing on the wind, and the stories of shepherds led us to a vast work, a deep river of musical memories. - Are there amongst Sangre Cavallum's members/friends/family some persons able to build these instruments in the old manner? We have close friends who make many of our instruments, utilizing both old and modern skills, and these are the artists I admire most. They are a great help as I also restore old instruments in our collection. - Both elements (traditional instruments and field recordings) assimilated, then you recorded and mixed 'Barbara Carmina' with the precious and priceless help of Robert Ferbrache for the mastering. Could you enlighten us a bit about how you have composed, arranged and assembled all these songs? A lot of it was improvised around the fire in the winter of 2000. Other songs were taken from a stock of unreleased material that dates from 1999. Those songs are connected with our evolution as a band. Everything was done with the full use and transcendence of all the instruments and equipment we had at that time. It was inspired by our people and the cosmological symbols carved into ancient stone. Fighting and feasting! Robert Ferbrache is someone who understands perfectly the balance between acoustic sounds and electric impulses. - Songs are linked to eternal elements (Fire, Light, Sun, Moon) or strong values (Pride, Bravery, Triumph)... what is their impact in your work and life? Natural elements and primordial values govern the vitality and health of Men. Nature asks for capable hands and strong hearts. The impact of elements and values establishes the proper balance for life and creative power. A composer, a musician, is able to feel the archaism of creation in which an eternal struggle occurs and defines the infinite compromises made between a creator and their art, their work. - Spectres and souls from your ancestors seem to float over the compositions (which is especially perceptible on 'Montanha de Luz')... what place is granted to them in the community of the region where you live at the moment? The voices of ancestors are everywhere, even if most cults are forgotten or lost. The celebration of ancestry is a daily action encouraging local survival, the soul of the land. The respect for ancestry in our community is caught between unconscious archetypes and autonomous memory; it is a source of energy for challenging the rationalistic interpretations brought by modernity against the voice of the old. You can imagine, however, that people here are no different from in other parts of the world. Many do not deserve the names of their ancestors, so it is just as well that they have forgotten them. - What is the meaning of the child's voice singing 'Barbara Carmina' (Barbarian Hymns) at the beginning and at the end of the record? It suggests a Circle but one would rather expect to find an ancestor at each end...?! Any child's voice is a Barbara Carmina and an ancestral spirit. Many preludes would fit for those songs. - Judging from the cover photos, old wine festivals were strongly linked to a musical ritual? Could you say a bit more? Does it still go on nowadays according to the same traditions? Wine imagery is quite rich in our region. Now everything is disappearing. A few people still sing while wine is being made but in general it is just a memory, or something done for tourists. Music was everywhere in the farming calendar; nature and magic were sung of for special celebrations and specific actions during the wheel of the year. Wine-making was one of those celebrations. The modern age has uprooted many traditions but the corn grows each time someone sings again with a torc around his neck. - There is a Corsican proverb that says 'Casi frà li casi e vigni frà li vigni' 'Houses amongst houses and vineyards amongst vineyards' (Houses have to be built where other houses stand, vines have to be planted where other vines grow). What do you think? Man imitates the communities of Nature... wine is the blood of earth. - If I am not mistaken, your first live appearances bring us back to 1998 when you played in Lisbon with Blood Axis and in Guimarães with Blood Axis again and R.N.Taylor (from Changes). What memories have you kept from these events? Those concerts were remarkable. When people gather together not just for music but for ceremony and celebration, the winds blow in the right directions. - You have shared the stage four times with Blood Axis in the past... Which common aspirations and values do you share? Any man has a common aspiration who is respected for his actions, and not for his morality or wealth! We share all that Nature offers us and what we have do to complete the circle... retaining enough strength to preserve and defend the family ground. Music and knowledge foretell much of the future, of the coming cycles of heroic prose. Patience, open eyes and clean ears! Is it your only live appearance outside of Portugal? Yes, this was the only one; a wonderful session under a burning Sun King. To your list of those who performed there I would add Kulgrinda, which was truly amazing, really sincere singing and rituals accompanied by the wonderful 'Kankle'. - In October 2001, Sangre Cavallum was the opening band of the 'Trilogia de endovelico' festival that took place again in a special place (Archaeological Museum of S. Miguel de Odrinhas). Did some specific conditions have to be united (special place, limited audience...) for you to play live? And was it the same line-up as on the record? The few times we played live have always been under the kind of circumstances you mention; a special atmosphere provides the necessary silence and intimacy. The line-up was the same as on Barbara Carmina. - Sangre Cavallum feature on the acclaimed 'Wir rufen deine Wölfe' anthology. How did you get in contact with Gerhard (from Allerseelen) who curated this compilation? And since he also appears on your contribution, how did you manage to work together despite the distance separating you? We have been in contact for many years. Later on, in 2000, we met in person at the Arcana Europa festival. Since then we have spent time together in Wien and here in Callaecia. Modernity supplies the necessary tools for communication; distant collaborations are not a problem. - Sangre Cavallum are also present on the TYR compilation... how would you qualify your contribution track 'Flamma' for which the rhythm really sounds like an ancient one, already present deep in ourselves? What is your opinion regarding this publication? Flamma begins a cycle of narrative ballads played on our Northern traditional guitars, the 'Braguesa' and the 'Amarantina'. Such instruments keep much of the ancient rhythms. Sometimes I start with a text, and other times I start with the instrument and a tune. In this case the tune came first and suddenly everything fell into place around the heretical theme. It is a song of hope, of struggle, as I do not enjoy that kind of obscure, life-denying music which reflects the mentality of Christianity. For certain, I am not a Christian. TYR is an extensive, quality journal that addresses many traditional and historical sources that foretold of the situation in which we now find ourselves, living amid vast disorder and insanity. There is much of value to be said against materialism and mass culture, especially if this is expressed by people who respect traditional culture and Nature. - Let's talk about your forthcoming projects now... Can you tell us a bit more about the mini-cd and the new album that should be the next Sangre Cavallum releases? Will you continue, for this purpose, your collaboration with Michael Moynihan and his label Storm? Our second album, "Pátria Granítica" (Granite Fatherland), is concerned with the theme of Stone and its power (as "a spiritual being") in our fatherland. It represents a new step in our music and it inspired forthcoming works. "Barco do Vinho" (Wine Boat) is a mini-CD with three songs by Allerseelen and three songs by Sangre Cavallum. It was a close collaboration between both projects as we have recorded some of the material together in the distance and also here at Callaecia. The theme is 'Wine' and it will also include a couple of bottles for a special edition. It deals with our visions about wine and how it crowns the one who drinks it with dark-red and rusty foliage. It was also inspired by the image of Dionysus in the ship of grapes and the barrels (pipas) as boats with wine inside, a river or sea of endless emotions like our "Barcos Rabelos" who descended to the Douro River with the barrels of "Vinho do Porto". Both releases will come out on Ahnstern. Storm will also collaborate with Sangre Cavallum for future releases. - Though Sangre Cavallum is mainly inspired by traditional music, are there any 'modern' bands that may have had an influence on your musical path? Besides the treasures of traditional music (field recordings and revival folk groups) of our territory and of other European regions, other influences come from endless musical genres, always difficult to classify: classical and regimental music, the 70's folk/rock bands, Breton folk, Scandinavian power-folk, psychedelic rock, early dark-folk, metal, 60's kitsch music... all this is close to the way we like to use our instruments. Other influences come from industrial or experimental music. In the 60's/70's folk revival I specially enjoy Malicorne, Avaric, Alan Stivell, Steeleye Span or Martin Carthy, and all those unknown but similar bands of that time. I also enjoy Blood Axis, Nature & Organisation, Allerseelen, In Gowan Ring, Sol Invictus, Changes, Waldteufel, Sturmpercht, Fire+Ice, Current 93 and Death in June. We are not in any scene or movement; we deny the comfort of categories. Open fields are more to our liking than small, overcrowded rooms with a lack of air. - As far as you are concerned, you have also been active for years with your own project... could you say a few words about Bigorna/Zwickau? Zwickau released the tapes 'Vincit Omnia Veritas' and 'The Serpent's Law' and appeared on a few compilations. Since my early youth I recorded ritual/ambient pieces, and some are suited for this project. It is something more akin to sound sculpture, and it arises in me from time to time. 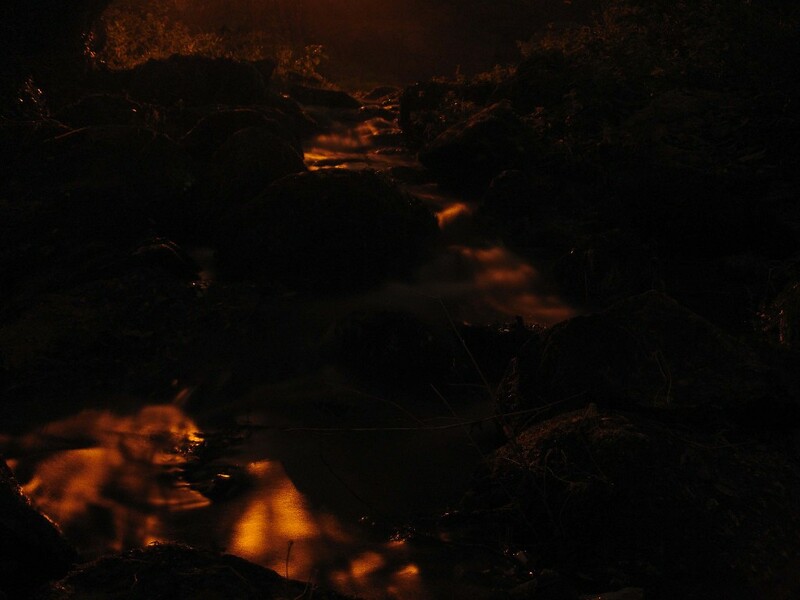 - Whereas Zwickau explored dark ambient soundscapes, Bigorna, judging from the track on the TYR compilation, is more folk-oriented with vocals that remind me of ACTUS... Does this change of name coincide with a new musical exploration? No, Bigorna does not represent the folk-side of Zwickau. The theme that I have chosen for that song, a celestial anvil, turned the structure into something more organic. Bigorna (Anvil) is just a variation with more of a human presence, a place for forging and other crafts, a music of tools and raw materials. - In the presentation of the TYR compilation and regarding the projects involved in it, Michael Moynihan talks about a 'profound respect for traditions, folklore and those beings who came before'… Is the transmission of the oral and literary traditions the main aim of Sangre Cavallum? Our aim is to play music for our ancestors and for our sons. Transmission starts at the very instant we fuse traditional music together with our own compositions, assimilating that knowledge and those values. Our lyrics explore many aspects of our language, of old words and sayings, a knowledge that is an invitation to a patriotic Whole and not just a poetic shelter of memory. Oral transmission is dressed in shadows and each singer/musician will colour it with its own interpretation. By creating music highly influenced by lore, 'non-traditional' musicians seem to unveil a lot of old and primordial elements. Music made by modern musicians is listened to by modern people and it becomes popular or folkloric not only if accepted by a community and integrated in its rhythm, but also if minorities or isolated individuals stand with it shoulder to shoulder for the defence of heritage. - Do you think that people who do not belong to a regional minority that continues to maintain its own language, traditions, culture... can fully appreciate and 'understand' the importance of your work? Anyone who respects the mark of their birth is able to appreciate and understand living tradition. Someone who does not belong to a regional minority and its autonomous power, the forging together of land and people, can easily pursue their origins and respect the long tradition that lies behind them. The vast richness of our language is completely lost among the younger generations, especially in the major coastal cities. Many ancient words hide much more than it appears on the surface. The words of yesterday will be those of tomorrow, as both dwell near the primordial principles of Nature and existence. - In your daily life, how do you combine traditions and the inevitable modern elements? The combination between tradition and modernity is not an obstacle. I have the notion that every time and everywhere modernity arises with its sharpened claws, ruins are hidden in darkness and in silence... until the instant one torch is lit, just one! - As a Callaecian, how do you see Europe? Do you feel part of this union of nations or do you prefer to withdraw into your local region to preserve it? I care for my old region Callaecia in every way concerning its survival and protection. I have a great respect the European fatherlands (and their endless peoples), but not for the nation-states which are united for the convenience of blind comfort and wealth. The absence of self-determination leads to a collective consensus for purely administrative purposes. No 'ethos' exists behind this non-primordial hegemony of contemporary Europe. I do not feel part of anything apart from my native land. - Which words do you consider as the most appropriate to describe the place where you live and more generally the North of Portugal/Galiza? People, heritage, warrior culture, magic stones, a thousand haunted rivers, green hills, flaming sunset by the sea, healthy livestock, wine, Atlantic rain falling, everything falling... the soundtrack is made of narrative ballads, the storm of drums, the echoes of bagpipes or the watery sound of stringed instruments. Megalithic relics, Iron age settlements with their inspirational ruins of hillforts ('castros' and citânias'), the soil rich in metals and Lord Granite. Our warrior statues are the blood mark of northwestern Iberia. After twenty centuries of Christianity it's not bad! - One of the songs on the album refers to the Douro river. Which natural elements have an influence on your daily life and artistic expression? All elements are polarized sources that feed one's own existence. - Are there any books that you would advise to gain a deeper and better comprehension of the survival traditions (musical, cultural...) in Northern Portugal/Galiza? Or would you just advise to travel the land and to discover things by yourself? Solitary travels provide the ideal 'book' of lands and peoples. In any case, I would like to leave a few noble names: Francisco Martins Sarmento, Vicente Risco and Ernesto Veiga de Oliveira. - The last words are for you... Is there anything you would like to add? Thank you very much for the interview. Gratitude to Michael Moynihan for helping with the grammar. É ouro ou enxofre? É o fim do mundo!